The fund sits in the UK Equity Income sector and boasts an outstanding dividend record, with raised distributions year-on-year for 19 out of the last 20 years. The Fund has returned 86% under Julian’s management – August 2002 to date – and has consistently been in upper quartiles over periods of 1,3 and 5 years. 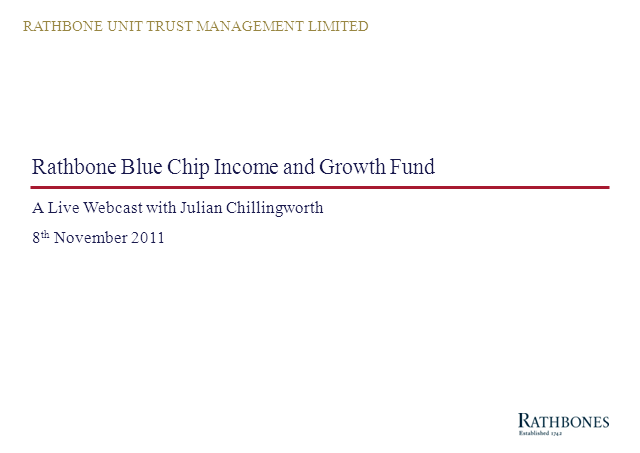 Julian Chillingworth who brings over 30 years of experience and know-how to the Blue Chip Income and Growth fund, will share his current views on the market and how he positions his fund consequently.